Attention Writers and Artists with works to sell! 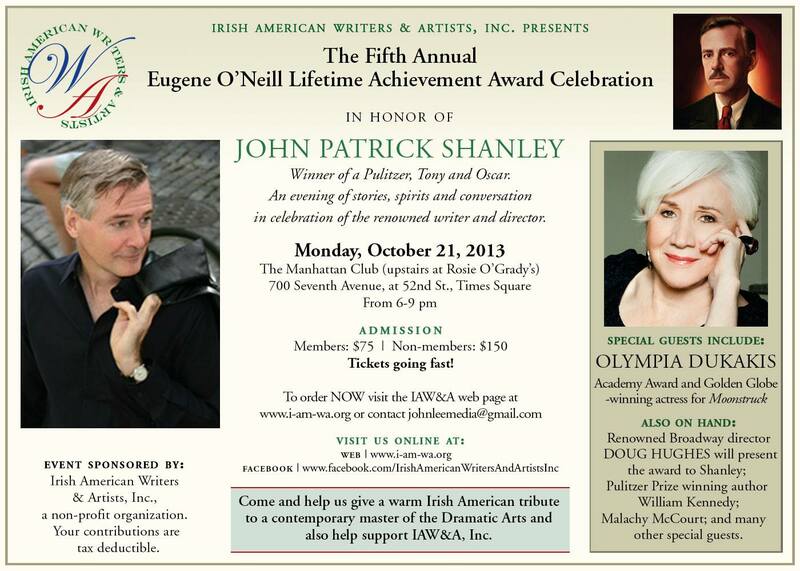 You can advertise your books and CDs or other artistic work in the IAW&A Eugene O’Neill Award Celebration program. Promote your works. Let attendees know the kind of work our members are producing. 1. Send camera-ready ads of 1/8 of a page (business card size) to: oneill.artist.ads@gmail.com.